Come and spend the day off school at the Maritime Museum of BC learning all about FISH! Join in while we learn about the ocean’s layers, talk about food chains, and do some fish-themed art. 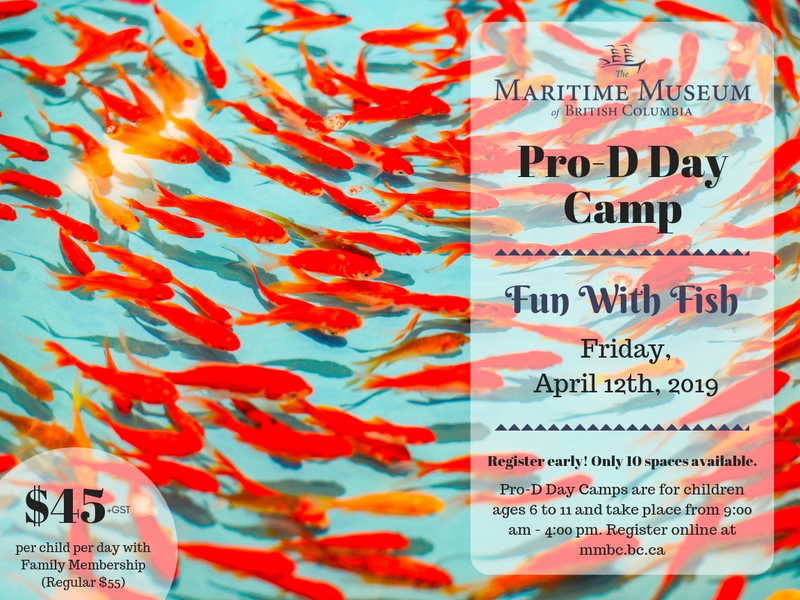 Our Pro-D Day Camp runs from 9:00 am to 4:00 pm on Friday, April 12th and is for children ages 6-11. Space is limited to 10 children, so register early! Drop-off is at the Maritime Museum of BC (634 Humboldt Street, Victoria BC) between 8:45 AM – 9:00 AM on Friday, April 12. Pickup is at the Maritime Museum of BC (634 Humboldt Street, Victoria BC) between 4:00 PM – 4:15 PM on Friday, April 12. For our full Refund Policy, please click here. Our Spring 2019 PD Day Camp is SOLD OUT! 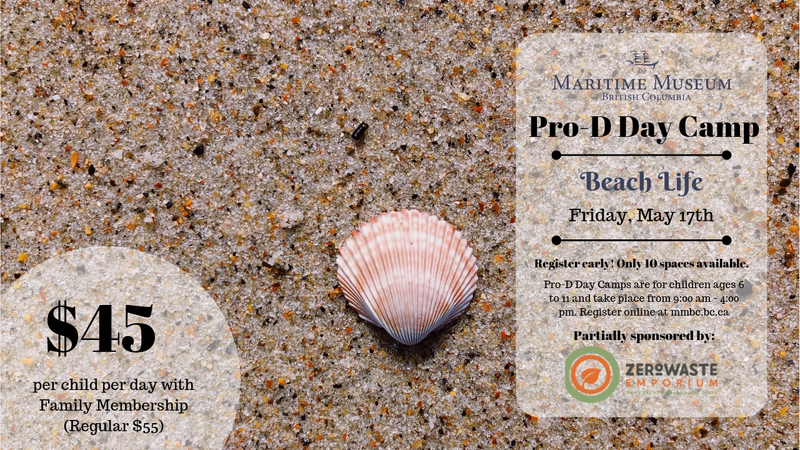 Stay tuned for more information about our upcoming PD Day Camp on May 17: Beach Life!